Block 6 is a cute angel block and has been designed by Sandra Healy. It's called 'Hanging Stars Angel Block' which brings us to the halfway point of the Christmas Quilt Along already! Background pieces are cut and ready to piece. Time to trace the angel onto fusable web ready to transfer the pieces onto the block. Oops wings are upside down, just as well I haven't yet pressed the pieces onto the background fabric! Applique the edges with blanket stitch. There are lots of curves in this piece making it slow going. French knots for eyes using two strands of embroidery floss and winding around the needle three times. This gives the little angel some character. She's so sweet! Block 6 complete and ready to be added to the quilt top! 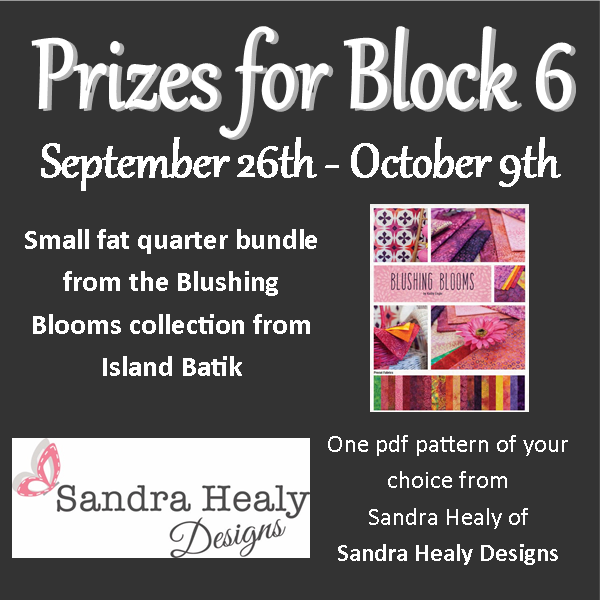 Super prizes from Island Batik and Sandra Healy Designs. Open to entrants worldwide! 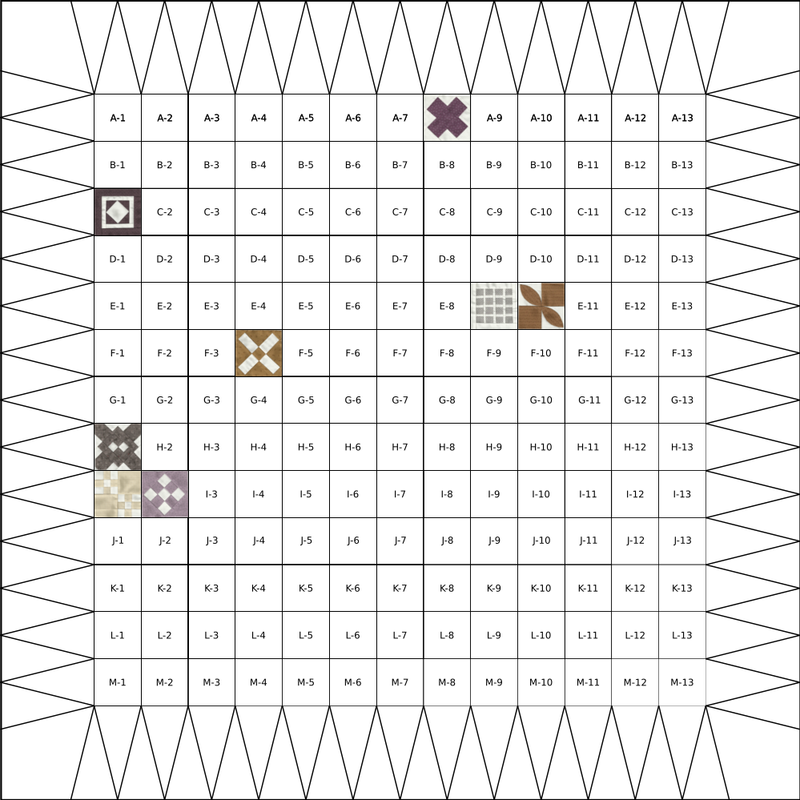 There is a prize too for a finished quilt top showing all twelve blocks. The deadline for entries is January 16th! 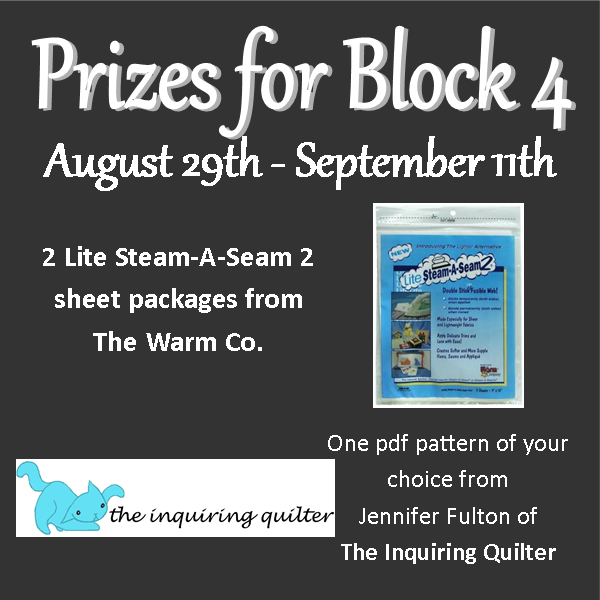 Block 5 is brought to us by Sherry Shish Powered by Quilting. 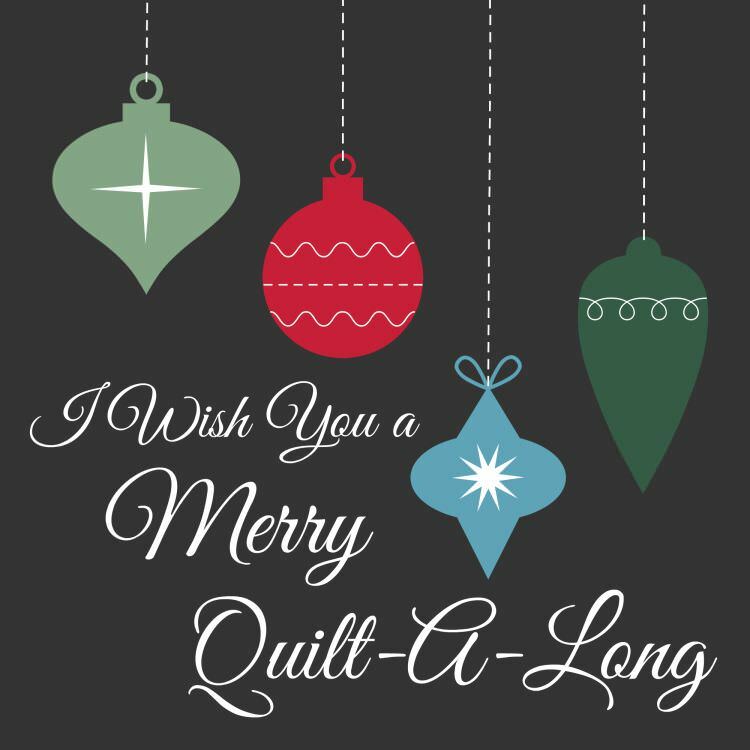 It wouldn't be a Christmas quilt without a snowman, so this is exactly what Sherry has designed for us! This is a pieced block with a tiny piece of applique and embroidery features....here we go! 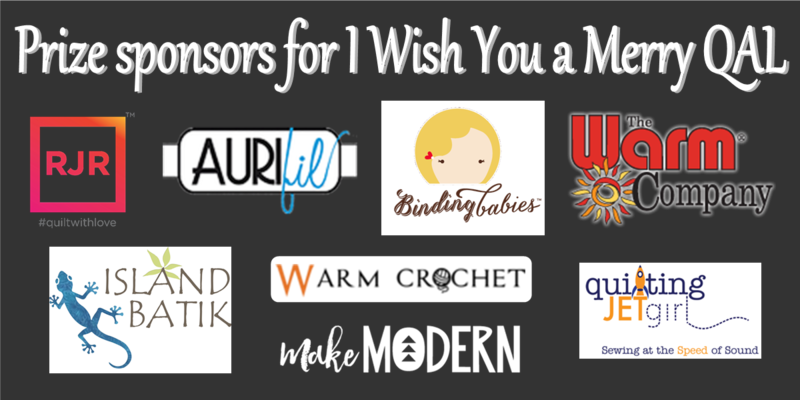 Download the pattern from Sherry's site and follow the cutting list to make sure you have all the pieces ready. The instructions are excellent for beginners and the more experienced alike. It was lovely to see the snowman take shape from the outset. Seeing the snowman under construction is very satisfying. After putting together the three middle sections and adding the sides he's all ready to add some character. Back stitch eyes and twig arms and he's good to go! Finshed! I'm really happy with this block. It was super easy to put together thanks to Sherry's instructions and I love the expression on his face, he's super cute! 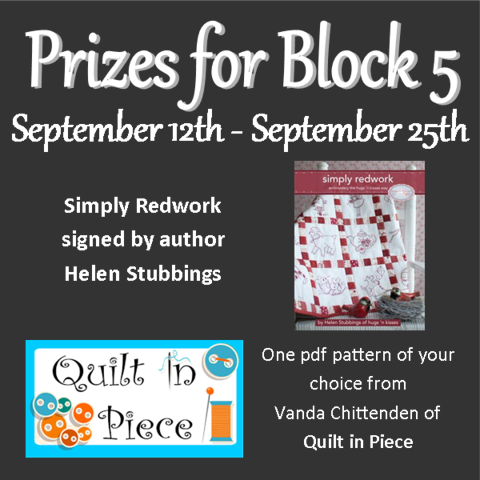 Upload your finished block to win the following prizes!